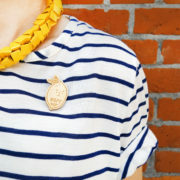 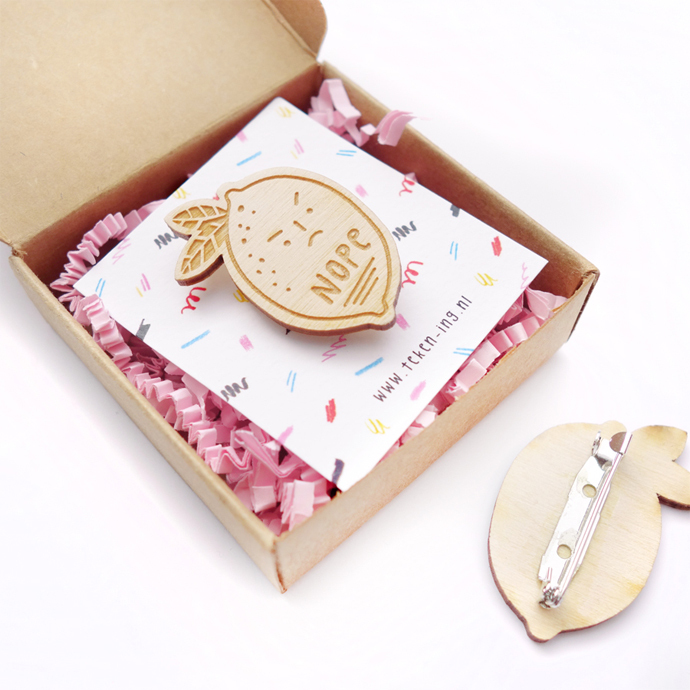 Wooden pin/brooch (lasercut). 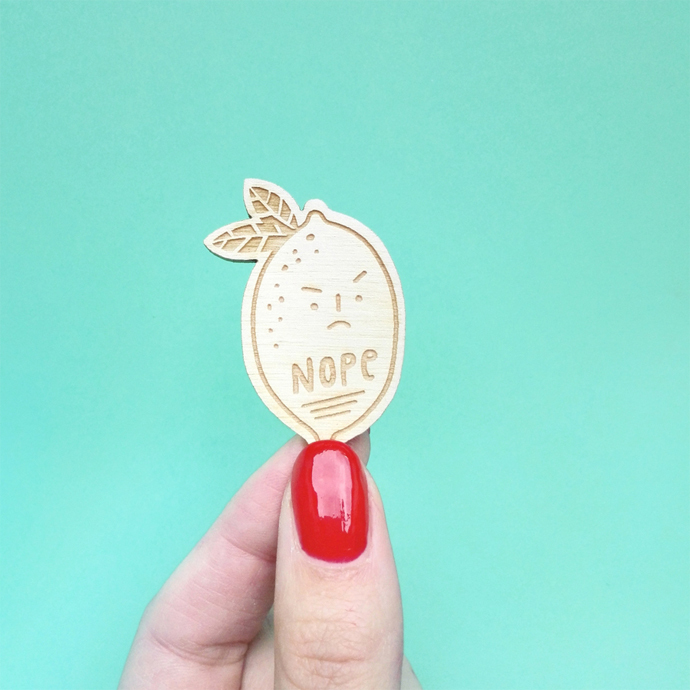 Angry lemon with lettered quote: ‘NOPE’. 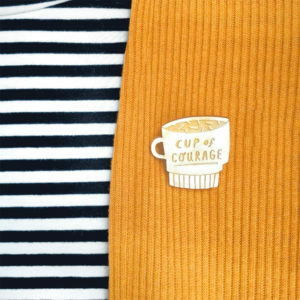 For those days when you feel like saying nope to everything and everyone around you! 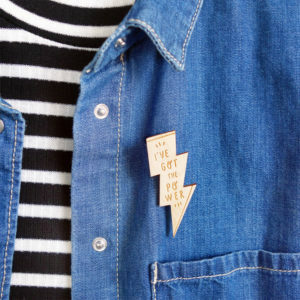 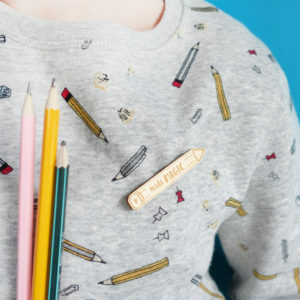 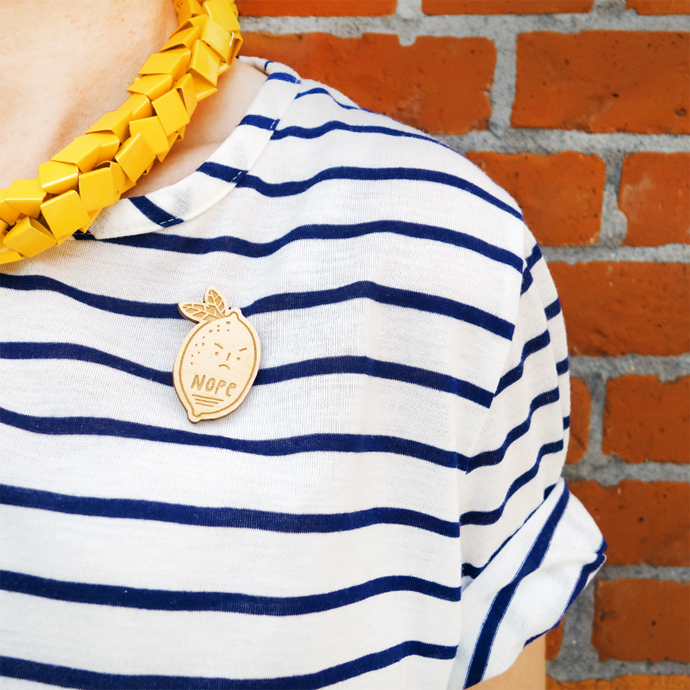 Looks cute on your jacket, sweater or bag! Will be shipped in a protected box.